With fewer college students pursuing teaching degrees and the number of school age children in the U.S. growing each year, the education industry is increasingly in need of support. If you’re considering small business ownership, it’s a great time to learn how to start a tutoring business. If you think back on your education, there’s a good chance that at some point, you could have benefited from working with a tutor. Whether it was test prep or subject specific, we could all use a little help sometimes. In fact, recent reports show that tutoring is now a $7 billion industry. And with 55 million grade school age students, there’s a very wide audience of potential clients. If you have a passion for entrepreneurship and an interest in fostering the educational and wellbeing of students, now is the time to learn more about how to start a tutoring business. Let’s take a closer look at what it takes to launch your own tutoring business. Independent business vs. franchise — what’s right for you? Do you have a tutoring specialty or specific subject focus? If you have an idea in mind regarding what kind of tutoring your business will provide, this can help steer whether you choose a franchise or start-up. For example, the Mathnasium franchise has elementary, middle, and high school programs all specializing in math tutoring. Tutor Doctor, on the other hand, offers education programs, also for many ages, but for a wide variety of subjects. If you have another specialty in mind such as college test prep or a foreign language you might choose to develop your own educational material. Are you an experienced tutor? If you’re an experienced educator, creating a lesson plan or educational materials may come easier to you. If you have a more business-focused background, creating the business plan may come easier to you. These are definitely skills that can be learned, but if you’d like support in either arena, it may be wise to consider seeking a pre-baked plan offered by a franchise. Are you planning to tutor or to focus running on the business? If working with students and being a tutor yourself is a priority, launching a smaller-scale start-up will give you more flexibility to concentrate on teaching. If, on the other hand, running the business is your primary focus, a franchise is a good pathway to quickly get a robust operation running. How important is freedom to you? In any industry, when you’re choosing between a franchise and a start-up, it’s important to be realistic about how much freedom and control will play into your happiness as a business owner. While there are many benefits to franchise ownership — marketing materials, business plans, brand recognition, and more — you don’t have total creative control as a franchisee. This has varying degrees of importance for business owners, but you need to know how it ranks for you. The cost of starting a tutoring business can vary greatly. For example, if you’re launching a home-based tutoring business and you’re the only employee, you’ll have minimal costs — likely mostly in educational and marketing materials. If a franchise is right for you, you’ll need more cash upfront to pay for franchising fees, buying or leasing a location, and operating funds. Start by creating a business timeline for yourself, with the first step ensuring you understand what small business funding method is right for you through pre-qualification. After completing this short, private survey, you’ll receive a complete summary of your financing options and total funding amount. Here’s a look at some of the most popular funding options built specifically for small business owners to consider when starting a tutoring business. If you’re looking for small business funding that doesn’t require you to take on debt or you need funding in just a few weeks, Rollovers for Business Start-ups (ROBS) might be a good choice for you. Also known as 401(k) business financing, ROBS allows entrepreneurs to access their retirement funds to use as capital for their business — all in a tax and penalty free transaction. ROBS is not a loan, so there are no monthly payments to make. And you can use up to the full amount in your rollable retirement account for any business activity — any start-up costs, purchasing an existing business, funding a franchise, etc. — providing you flexibility when you need it the most. The Small Business Association (SBA) encourages banks and credit unions to lend to small business owners by guaranteeing up to 80% of the loan amount. This arrangement creates less risk for the lender, and in turn, the financial institutions provide better rates and terms for small business borrowers. SBA loans provide from $25,000 (working capital loans) up to $5 million (SBA 7a loans) in small business funding — making them a great option for entrepreneurs who need significant start-up funds. One of the most challenging aspects of obtaining an SBA loan is coming up with enough cash for the required 20 – 30% down payment. However, it’s possible to combine financing methods in order to fund your down payment and increase your overall buying power. Once you’ve completed the ROBS transaction, which can take as little as three weeks, the money can then be used as the down payment on a small business loan — greatly improving your eligibility as a borrower. Ready for your own tutoring business? Learn about the funding you need to get started! Depending on what kind of tutoring your business will offer, and whether you launch a start-up or franchise, there are a number of administrative considerations to understand in order keep your business running successfully. Keep these details in mind when getting the paperwork together for your new tutoring business. A great way to earn credibility as a tutor is by gaining certification through the National Tutoring Association (NTA). They have certifications for both individuals and for educational programs. The NTA also offers continuing education opportunities and an annual conference. You have many options for where you work from, such as at home, in a leased or owned building, or a co-working space. Any location you choose will come with its own set of decisions, contracts, and agreements to make. Locations may have different tax implications, which your CPA and attorney can work through with you. Depending on your location, your state may have different business license requirements, so always check your Secretary of State site to ensure you’ve filed the necessary paperwork. If you’re planning to run your tutoring business out of your home, there are likely health and safety licenses or additional requirements to consider. If you plan to tutor in your home or if the structure of your tutoring program means having minors onsite for hours at a time, check both your city and state regulations to ensure you’re in compliance. Even if you’re your only employee, it may be smart to have insurance for your business. You might consider adjusting all of your insurance policies – for example, your auto insurance if you plan to drive to tutor students. The education industry is unique because it has such a large group of potential clients. Anywhere there are students, there’s a good chance that families will be looking for a tutor either to help with a specific subject, overall homework help, or test preparation. 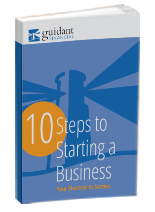 Now that you know what it takes to start a tutoring business, take the first steps by learning more about choosing a start-up business or franchise and getting pre-qualified for small business financing.